Apologies for the geeky article, but it solves a problem experienced by many web developers who use Windows as their primary OS. 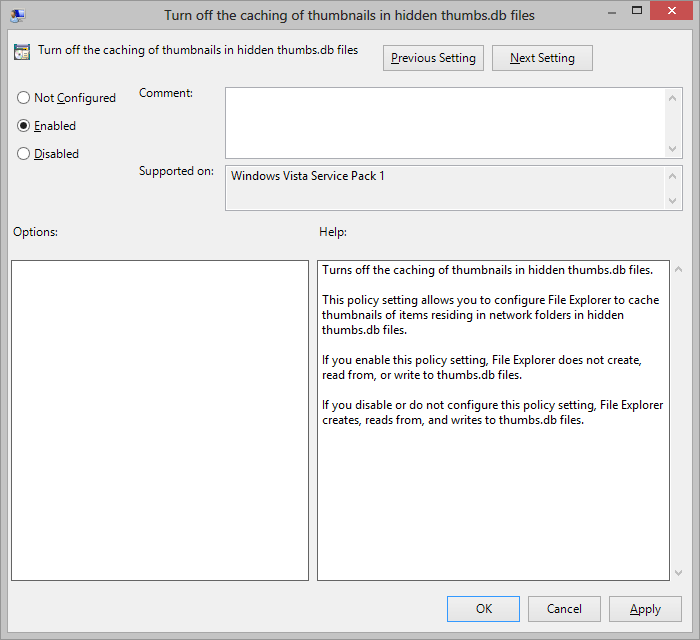 Thumbs.db is an image cache which makes thumbnail viewing faster. The file is automatically created in Windows Vista, 7 and 8 whenever images are encountered in a folder. It’s usually hidden but can appear, disappear and is often impossible to delete. It affects version control. If you’re using a system such as TortoiseGit or TortoiseSVN, Thumbs.db will cause “changed” icon overlays to appear when you’ve not modified any files. They often get uploaded to live servers where they’re pointless. Unless you’ve got a slow PC, you probably won’t notice any speed improvement. I don’t want auto-generated files cluttering my system, thank you! Ensure you’re logged in using an administrator account. Navigate through the tree to User Configuration > Administrative Templates > Windows Components > then either Windows Explorer (Windows Vista/7) or File Explorer (Windows 8). 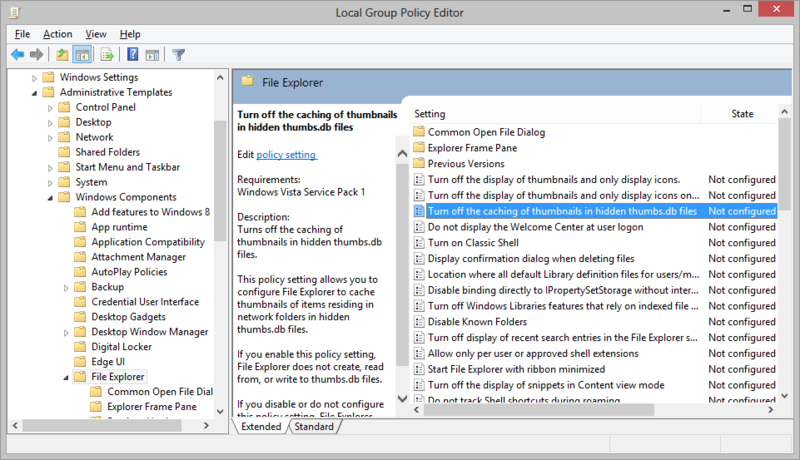 OK your way out and it’s job done — you’ll never be troubled by Thumbs.db files ever again! Comments on this article are closed. Have a question about Windows and Servers? Why not ask it on our forums?